Northwestern Mutual is committed to accelerating the search for a cure to childhood cancer while supporting families undergoing treatment and survivors suffering from late effects. 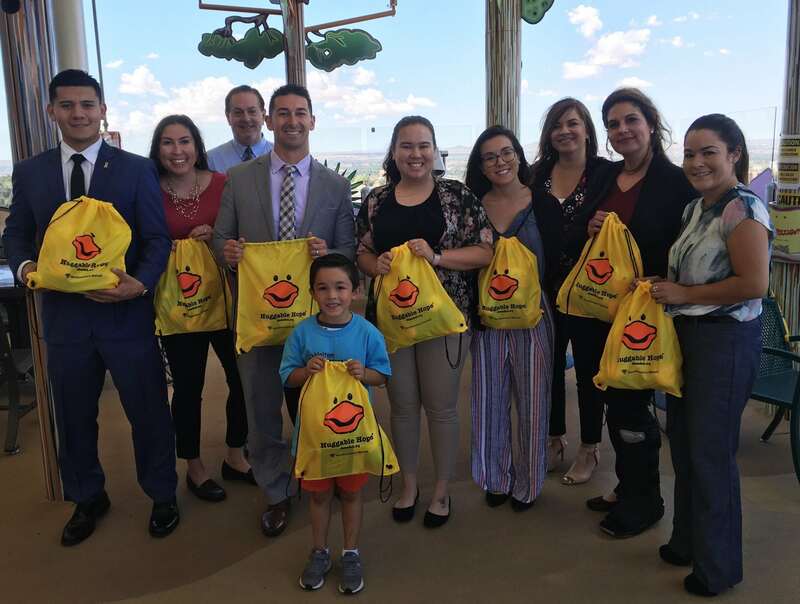 As a part of their commitment to bring awareness to childhood cancer in New Mexico, Northwestern Mutual gave the gift of huggable hope to our patients at the UNM Children’s Hospital. During September, Childhood Cancer Awareness Month, the Northwestern Mutual- Steven Truijillo office raised money to purchase over 30 Chemo Ducks. Gabe’s Chemo Duck program is a therapeutic tool to enable hospital staff and parents to better prepare children for chemotherapy and eliminate the fear of the unknown, by offering a cuddly stuffed duck and educational materials. Thanks to our partners at Northwestern Mutual, all of our pediatric oncology patients will have the opportunity to have the gift of huggable hope. Our partners at Northwestern Mutual delivered the Chemo Ducks to our hospital on Friday, September 21st, World Gratitude Day! To celebrate World Gratitude Day, Northwestern Mutual worked on a beautiful art mural with patients in our Child Life playroom. 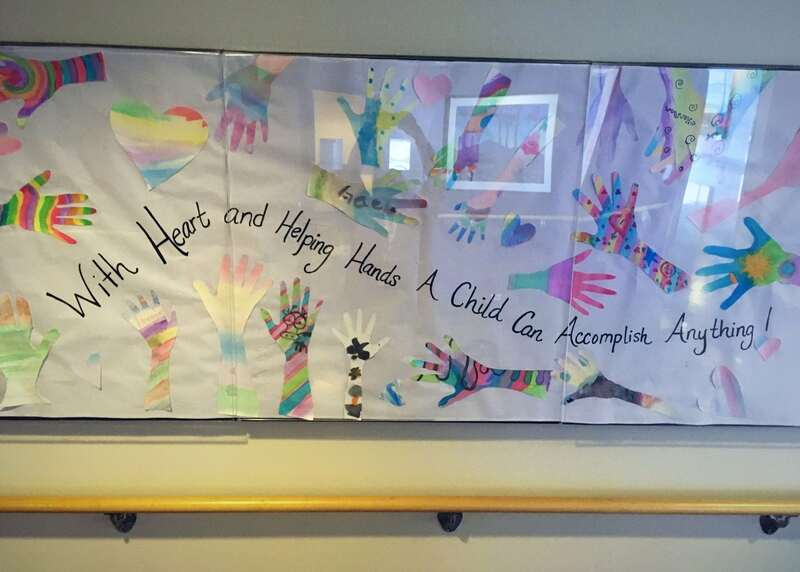 The art mural, which reads “With Heart and Helping Hands A Child Can Accomplish Anything” is proudly displayed in our hospital in the hallway outside of ChildLife. Thank you Northwestern Mutual. We are grateful for your partnership and dedication to our patients. Because of your helping hands, our patients can accomplish anything! Previous post: Walmart Campaign Kick Off! Next post: March is Child Life Month!